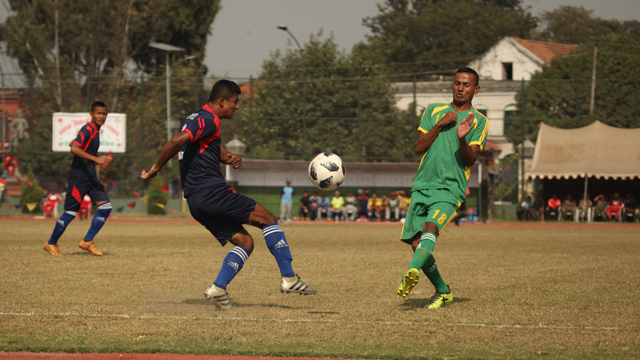 Tribhuvan Army Club (TAC), Nepali Army, completely dominated the National Sports Council (NSC) Championship and leads the overall medals tally with 125 Gold, 68 Silver and 55 Bronze medals. Taekwondo: Tribhuvan Army Club (TAC) claimed the team championship title with nine gold medals in the National Taekwondo Tournament at the Nepal Taekwondo Academy in Lalitpur on Saturday. Badminton: Tamang siblings Nangsal Devi and Ratnajit of TAC defended their singles title in the National Badminton Championship in Mahendranagar on Saturday as TAC team clean swept all five gold medals on the last day of the tournament. 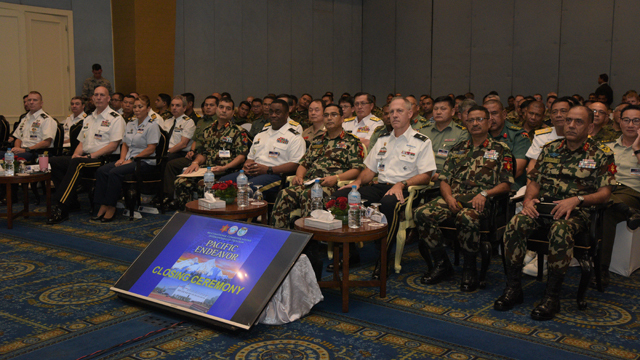 Nepali Army wrapped up the event with six out of seven gold medals. Athletics: TAC clinched 22 Gold Medals in Athletics. Swimming: TAC clinched 17 Gold Medals in Swimming. Boxing: TAC clinched 11 Gold Medals in Boxing. Kho Kho: TAC clinched 11 Gold Medals in KHo Kho. Weightlifting: TAC clinched 10 Gold Medals in Weightlifting. Fencing: TAC clinched 7 Gold Medals in Fencig. Karate: TAC clinched 6 Gold Medals in Karate. Judo: TAC clinched 6 Gold Medals in Judo. Shooting: TAC clinched 5 Gold Medals in Shooting. Archery: TAC clinched 4 Gold Medals in Archery. Kabbadi: TAC clinched 2 Gold Medals in Kabbadi. Table Tennis: TAC clinched 2 Gold Medals in Table Tennis. Wrestling: TAC clinched 2 Gold Medals in Wrestling. 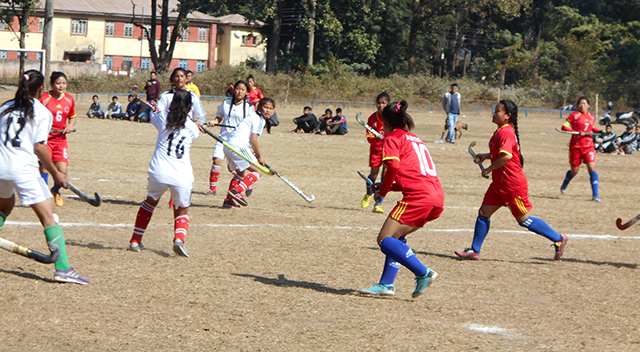 Hockey: TAC claimed both the men’s and women’s titles of the National Hockey Championship in Hetauda on Saturday. Triathlon: TAC clinched Gold Medals in Triathlon. Sepak Takraw: TAC clinched one Gold Medals in Sepak Takraw. Volleyball: TAC clinched Gold Medals in Men's Volleyball.